…to Laurel Canyon via Glasgow’s Royal Concert Hall. That’s exactly what Scottish musician Roddy Hart did recently for a night of collaboration at Celtic Connections. In the late 1960s, Laurel Canyon, a neighbourhood high above Los Angeles, was home to the counterculture hippy scene with influential artists like Jodi Mitchell, The Byrds, Crosby, Stills and Nash, Frank Zappa and James Taylor, all living and making music in and around the area. 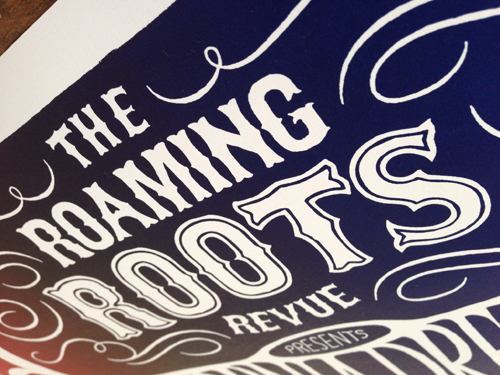 Hart inaugurated Roaming Roots in 2013 as a celebration of the late Levon Helm and its success gave him the thumbs up to repeat the recipe. Billed as a tribute to the legends of Laurel Canyon, this year’s Revue followed in a similar vein, taking advantage of the presence of so many musicians in town for the Celtic Connections festival. Artists on the bill included Lau, Lindi Ortega, Dawes, Siobhan Wilson, Idlewild’s Roddy Woomble and Frank and John from the Trashcan Sinatras – each offering their own take on a canyon related song and also allowed the opportunity to unveil some of their own work. By the end of the show there were over 30 musicians on stage for a rousing finale of The Eagles’ ‘Take It Easy’ and The Mamas and the Papas’ ‘California Dreaming’. Frank and John took to the stage earlier in the first half of the show for a sublime take on Judee Sill’s, ‘The Kiss’. 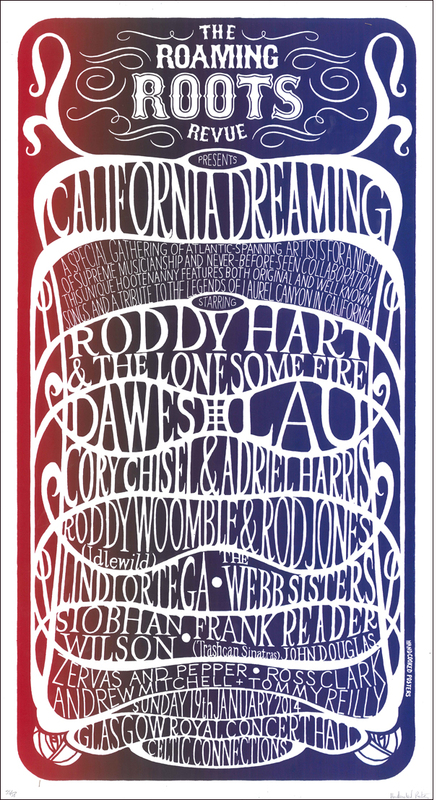 Here’s the promo poster for the event – a copy of which was presented to each artist who played. 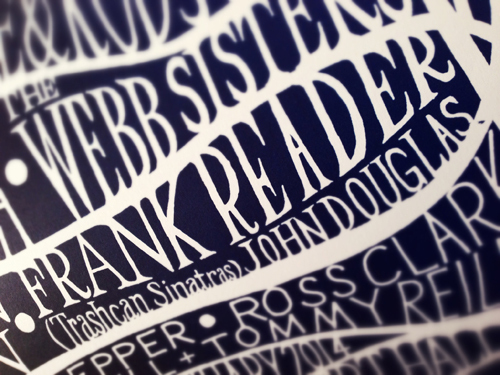 The poster was designed and produced by Douglas Walker at Handcooked Posters in Stirling – there’s a link on the left there if you want to explore more of his work.